The Yelm Food Co-op is based in rural Yelm, Washington, the fastest growing town in the fastest growing county in Washington State. Positioned halfway between Olympia and Mt. Rainier, Yelm is home to a diverse and resilient community that includes farmers, gardeners and do-it-yourselfers of all stripes. 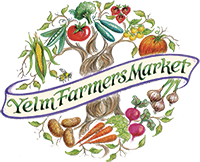 That support also allowed the Co-op to add the Yelm Farmers Market in 2012, a popular local draw between June and October every year. A second cecronn : This one for Yelm parents That little restroom in the park across from JZ Rose and other shops. There is/was a sign saying the water is recycled’ (or some such wording) and not for drinking. Yet kids were often drinking from the faucets.I hope this is still not the case. ( How cheap is that city that it cannot provide fresh water, expecting children to read signs? Even NYC provides fresh water in all it’s fountains. ) Parents: If your kid been to the park, and becomes oddly ill, ask them about this.